by Friday, March 29 at 5:00 p.m. to producer@dancevictoria.com. 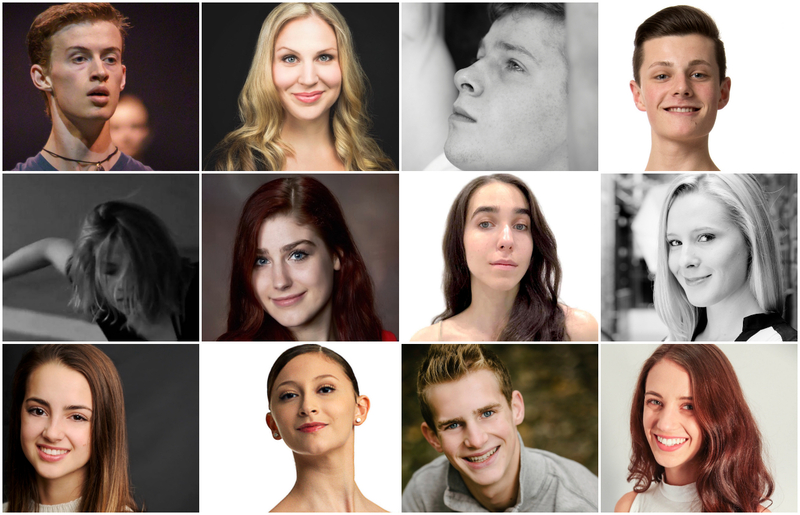 Dance Victoria is seeking four experienced Victoria-based dancers with pre-professional training in ballet/contemporary dance to complete its company of six dancers and two apprentices. The dance company will work daily, July 22 to July 26, and July 29 to August 3 participating in a 9:30 to 11:00 a.m. class. After a short break at the end of class, the dancers will work with one of three participating choreographers who will create new material based on a task given to them by the Lab’s mentors, Justine Chambers and Susan Elliott. At 5:00 pm each day, the dancers will show the work that the choreographer created that day for feedback. The day will end at approximately 6:30 p.m. each day. On Saturday, August 3 at 5:00 pm, the public will be invited to see the best work developed through this process. Choreographers Kelly Hobson, Angela Mousseau and Mahaila Patterson-O’Brien will be returning to participate in the Choreographic Lab along with dancers Isak and Eowyn Enquist, Daria Mikhalyuk and Adrian de Leeuw. The anchors of Justine A. Chambers’ movement based practice are found in collaborative creation, close observation, and the idea of choreography as living archive. Her work has been hosted by Dance Victoria, University of Toronto, Morris and Belken Art Gallery, Cantor Fitzgerald Gallery, and many other venues across Canada. She is a former Chrystal Dance Prize winner for her work with Berlin-based dance artist Laurie Young. Susan Elliott (formerly of Vancouver) is a Victoria-based dance artist and chef. Her dance life spanning nearly 30 years has taken her around the world as well as numerous tours across Canada. She has performed for many Vancouver and international choreographers and had her own company, Anatomica, from 1995-2008. Elliott is the recipient of the inaugural Scotiabank Dance Centre Isadora Award, was nominated for a Dora Mavor Moore award for her performance in her solo “Falls the Shadow”, and has received grants from The Canada Council for the Arts, British Columbia Arts Council, Dancers Transition Resource Centre, and The Vancouver Foundation for studies in New York, Europe and Thailand. She is very happy to be part of the Victoria dance community and to work with her dear friend and colleague Justine A. Chambers in this lab. For more information, please contact Stephen White, Executive Producer, Dance Victoria at 250-595-1829. More info about the choreographic lab here.